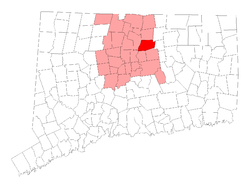 For parents in South Windsor, Connecticut who are looking for a quality pediatric dentist, try CT Pediatric Dentistry in West Hartford, one of three of our locations throughout the state. South Windsor, CT residents looking for a good dentist for their kid have a home in CT Pediatric Dentistry. We pride ourselves on our education and experience working exclusively with children and teens. Our passion for helping kids feel at ease and at home when they come for a visit will encourage them to get excited about proper dental care. We often speak at local schools to educate young people about the importance of proper oral hygiene, as preventive dental care is the best dental care, for people of any age. Children enjoy our kid-friendly environment, and our staff is fun and friendly, always willing to listen to what a young one has to say. When you choose our doctors, dental hygienists, and assistants for your child's pediatric dental needs, you are making a wise decision about who to let care for your child's oral health. You already know that dental care for kids is important. What we believe at CT Pediatric Dentistry, however, is that preventive care is most important of all. Preventing cavities is better than fixing them, so we teach children about what causes cavities. Eating sugary and starchy foods and drinking sugar-filled soda feeds bacteria that grow naturally in the mouth. These bacteria create acid that erodes the enamel of the tooth, causing soft spots that eventually become cavities if untreated. 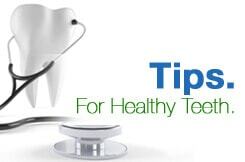 Regular check-ups and fluoride treatments, along with proper brushing and flossing at home and avoiding sugar-laden foods all contribute to preventing cavities before they happen. We know as well as anyone though that you can't prevent every cavity. Sometimes they happen! And when they do, we offer the restorative services needed in an environment that puts kids at ease. We can alleviate the anxiety that can accompany a surgical visit to the dentist with our specialty training in treating children, so come from South Windsor, CT to our office in West Hartford.